So, you decided to start a blog. It is not a difficult task as you may think. Anyone can start and manage a blog and make it profitable with basic knowledge of internet operations. You should blog about a topic in which you are comfortable. It could be anything like fashion, technology, social media, health etc. You need to spend lots of time in content research, writing, and reading relevant posts to improve traffic and quality of your blog. In short, the chosen niche requires your 100% dedication and commitment to achieve the heights or make money from it. Today we’re going to tell you how to start a blog quickly in less than an hour. Domain name is a key to your publishing business. It should be simple, keyword specific, and memorable. Avoid using numbers, hyphens, and other special characters in your domain address. Domain name suggestion tools will help you to pick the right domain you want. They will generate several names based on the main keyword you entered. Manage settings to set your keyword position, domain name length, and choose the type of accompanying words. They will also let you know whether the domain name is already registered or not. If available, go to the next step. Domain name registration is the next step. Approach a domain registrar to purchase the name in your name. So you can use it for your blog and develop a strong community around it. Learn Top 10 Best Domain Registrars for 2019. Some hosting companies also allow you to register domains while subscribing to their packages. SiteGround is such a hosting provider. It is a reliable and renowned name in the hosting industry that manages more than 2 million domains at this time. SiteGround is officially recommended by WordPress.org to serve your websites in lightning speed and keep them secure from security breaches or all forms of cyber attacks. Speed and security are the main factors that can determine the destiny of your online business. So, SiteGround will be the best choice to host your blog and earn money from it. Visit SiteGround and choose a hosting package. The basic StartUp plan costs $3.95/mo in which you can host a single website. It comes with all essential web building features like WordPress installation, free SSL certificate, free CloudFlare CDN, free email, and 24*7 customer support. If you are not satisfied with their services, you can demand and get back the full amount in 30 days. No questions will be asked. GrowBig plan costs $5.95/mo and allows you to host unlimited websites with priority customer support, free backup and restore, and other features we mentioned above. You can upgrade to the higher plans anytime from the SiteGround dashboard to remove restrictions and expand the business. Choose a plan to proceed. A registration form will appear in front of your screen. Select ‘Register a new domain’ option and enter your desired domain name in the field. Make sure that .com extension is selected in the following drop-down box or another extension you want to use for the blog. To use an existing domain name, choose ‘I already have a Domain’ option and enter the address in the Domain Name field. Enter your email and other personal details. Confirm your hosting plan in the next step. SiteGround keeps its hosting server in five different locations including the US, UK, Netherlands, and Singapore. Choose your location and hosting period to view the final bill. Add extra service to your shopping cart if needed and make the payment. Once the payment is approved, you will get a green signal from SiteGround with the message ‘you account was successfully created’. Click ‘Proceed to customer area’ button to install WordPress on your blog. Contact SiteGround’s live support and ask them to install WordPress for you. Hand over your account credentials and SG team will do everything in a few minutes. You can also install WordPress manually on your blog. Sign in to your SiteGround account first. Tap ‘My Accounts’ tab from the top menu bar, then click on the red color ‘Go to cPanel’ button followed by the ‘Proceed’ button. Find and click ‘WordPress’ from Autoinstallers section. 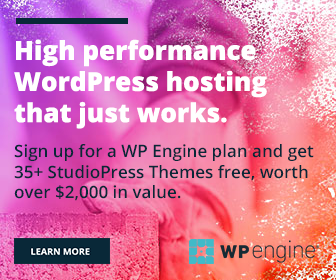 A new screen will appear with WordPress settings and features. Choose your website protocol, domain address, website name, admin credentials, and others before clicking the ‘Install’ button. It will take a few seconds to install WordPress in your blog site. When the installation is completed, sign in to your blog with the credentials you entered in the last step. Install a light-weight and mobile-friendly theme on your blog. WordPress theme library contains a huge collection of free themes in different categories. Visit ‘Appearance’ menu from the left pane of your WordPress dashboard, then ‘Themes’ to view and install themes. If you are not satisfied with them, find a beautiful and secured WordPress theme from the third-party developers. Make sure that your desired theme can handle all modern-day challenges like search engine and mobile optimization, customization, speed and other characteristics you need to manage a blog. WordPress plugins are add-ons to extend the functionalities of your website. It can be used for optimization, backup, social media sharing, digital marketing and more. Mouse hover Plugins on the left pane of your admin panel and choose ‘Add New’ to install plugins in your blog. WordPress will display and organize plugins across categories and tags on the page. Find and install WordPress plugins that you need to run the blog smoothly. Now your blog is ready to use.